Street Address & Map	 No. 998, Hong Gu Central Ave. 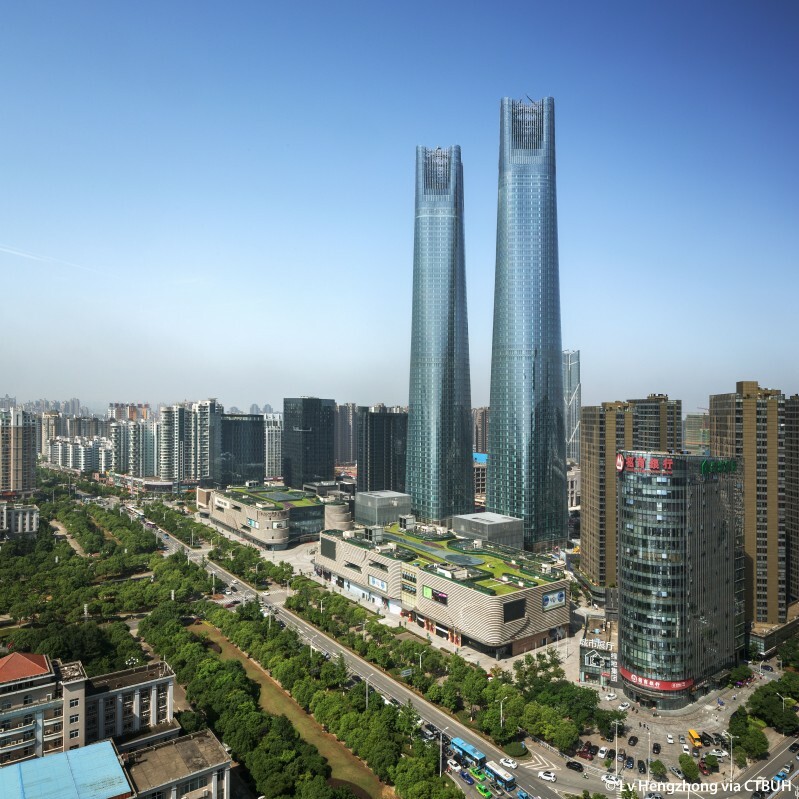 Located across the wide Ganjiang River from the historic center of Nanchang, the Jiangxi Nanchang Greenland Central Plaza, Parcel A and its identical twin tower became the city’s first supertall buildings upon their completion in 2015. Initially planned to top out at 289 meters, the design was then altered midway through construction to reach beyond the 300 meter mark, presenting a significant challenge to the design team. 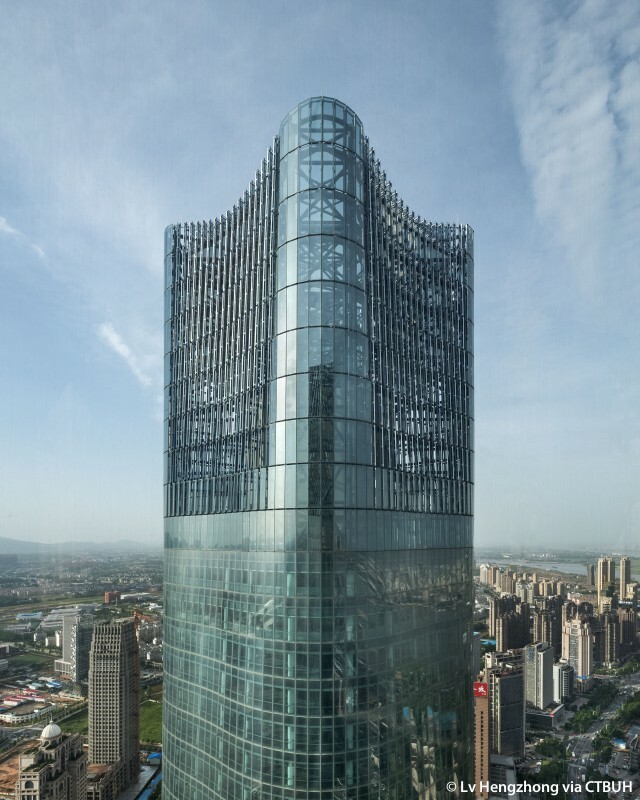 Through adding height to the buildings, the crowns were then sculpted into a series of concave curves and clad with operable glass louvers, opening to allow prevailing winds to pass through the top of the structure, reducing overall loading on the tower structure. 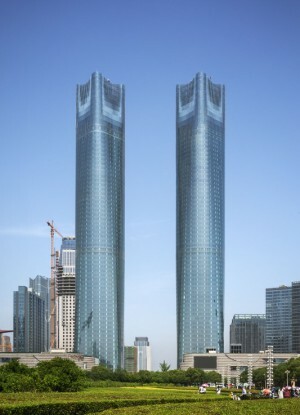 The bases of the towers are aligned to the street with a square ground floor plan featuring rounded corners. 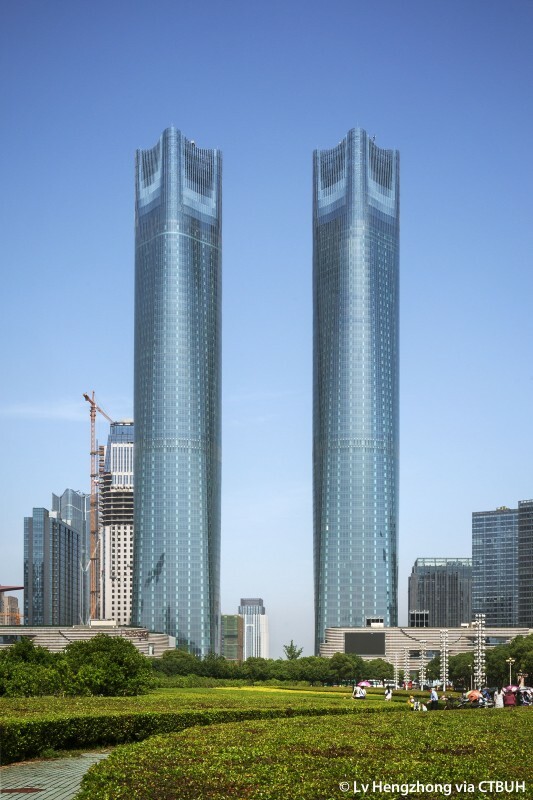 As the towers rise, the floorplate is rotated a total of 45 degrees, maximizing views of the nearby riverfront. 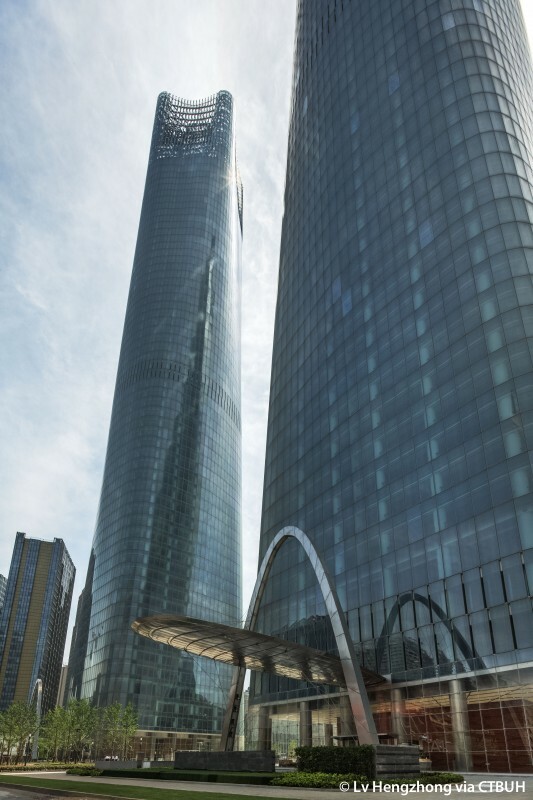 The rounded corners become more pronounced as the towers rise, blending with the concave indentations of the uppermost floors, creating a tower form which transitions from rigid to organic and is clad in a sleek glass curtain wall which appears to flow across the exterior like a wave. 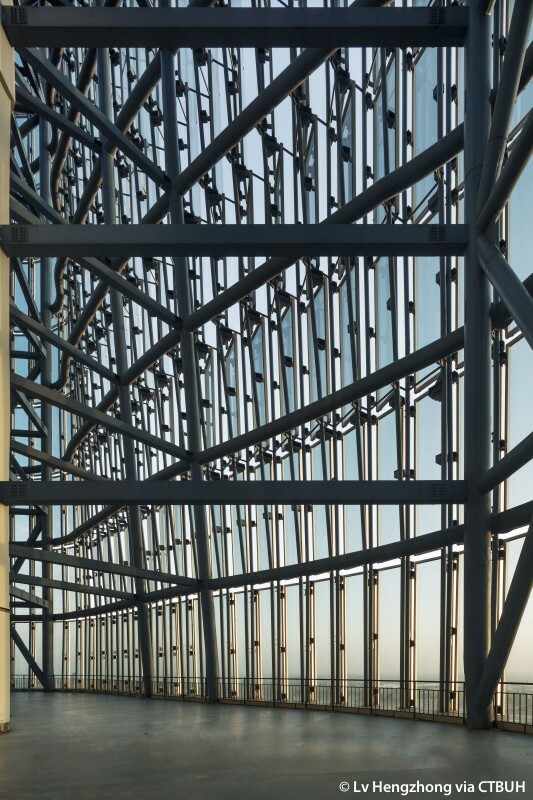 Many of the glass panes as such are not flat and designers took advantage of a newly created production method known as ‘cold bending’ to form the glass panes into the desired specifications of the complex façade. 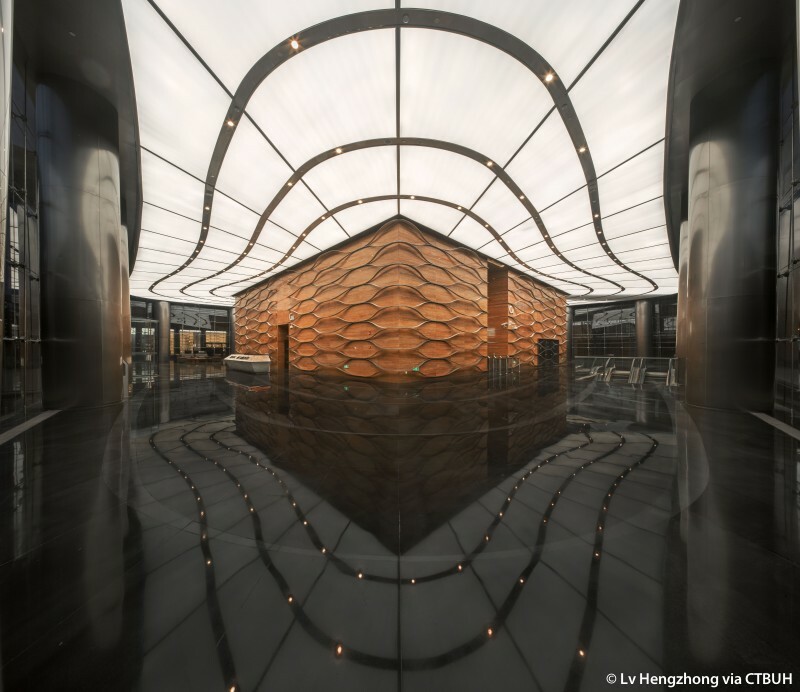 The base of the towers is made up of a large open lobby, with a highly transparent glass exterior suspended by a grid of cables wrapping the ground floor. 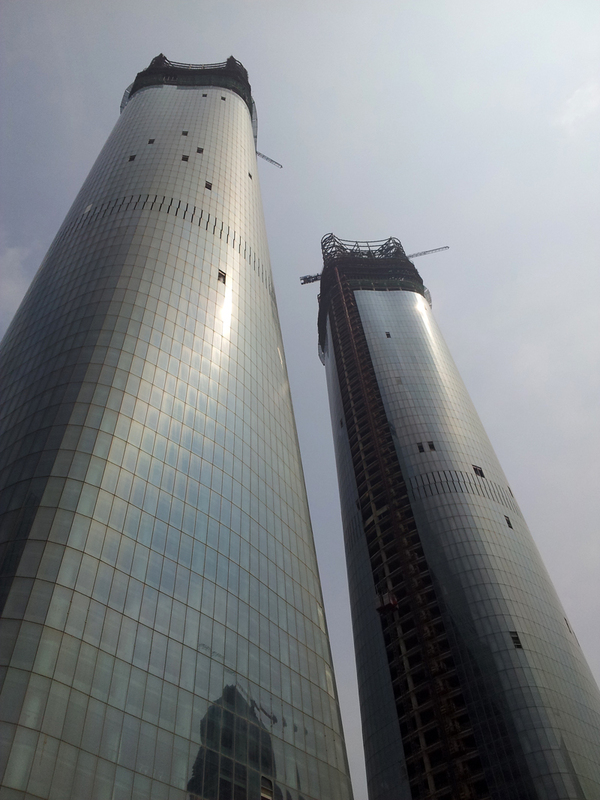 This level of clear glass then transitions seamlessly into the blue tinted curtain wall for the remainder of the tower. The main entrances are marked by large stainless steel canopies suspended from freestanding arches by a weave of cables. 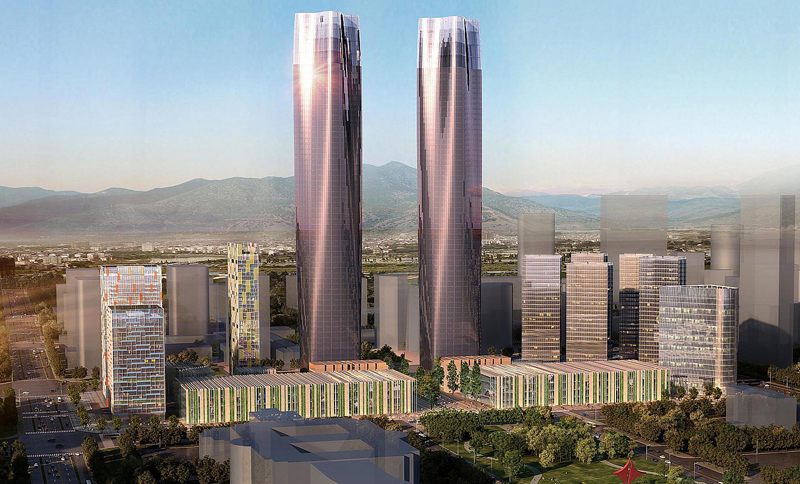 The towers flank a view corridor running from a public park, through the center of the complex where the towers are spaced at 100 meters apart and onward towards a street to the northwest. 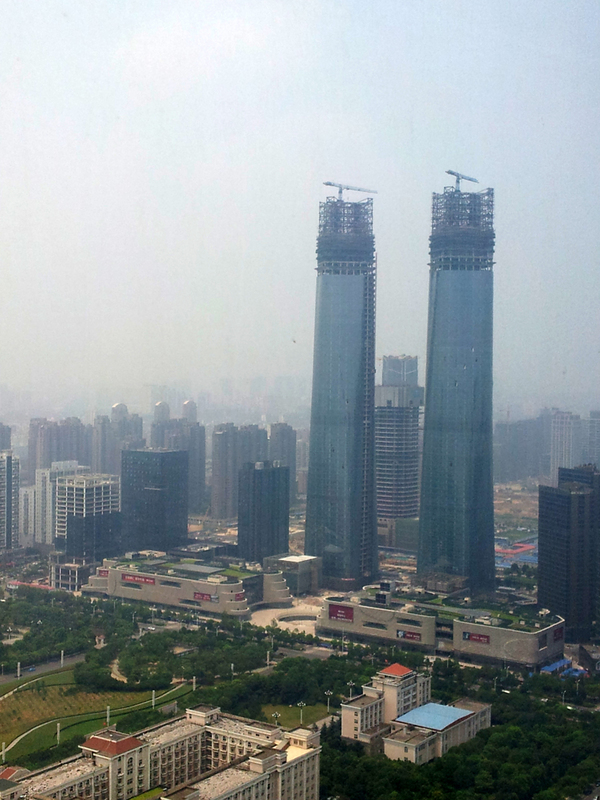 The integrated design relationship with the surrounding context should ensure these towers remain a key focal point in the Nanchang skyline for many years to come.